Are you looking for a pub quiz in a fun, friendly bar in Phnom Penh? 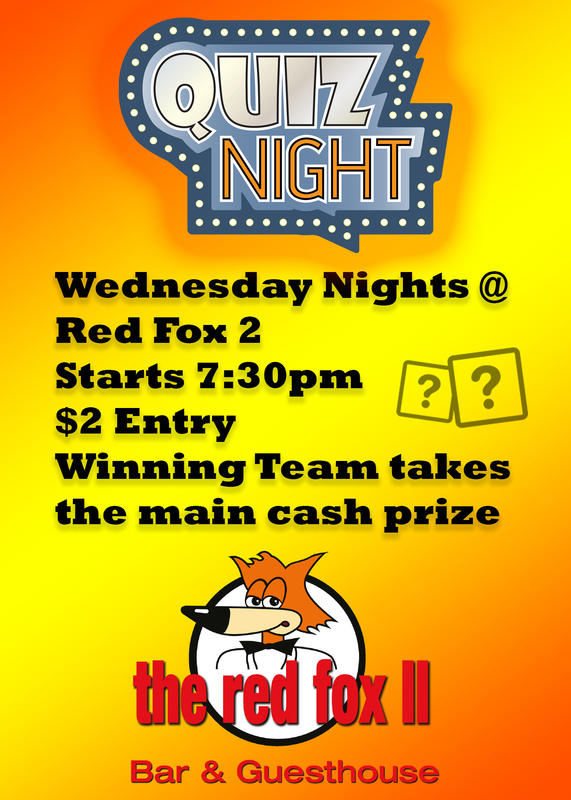 Red Fox 2 on Street 172, near the corner of Street 19, has a quiz on Wednesday evenings, starting at 7.30pm. Come along for a night of fun trivia and drinks. $2 entry and the winner takes the main cash prize. Come with a team, join a team on the night, or see if you can take the prize on your own! Just letting everyone know we now have Quiz night each Monday night starting at 7pm. How soon can you get here GM ? Rumour has it that you never say No to a G & T.
It is time for a Holiday YAY! Wednesday is International Children's Day!